As noted by Edmunds.com, “the F-Series has been the most popular vehicle sold in the United States for nearly every year of the past three decades.” It’s easy to see why half-ton drivers look at used Ford F-150 trucks for sale when they need high-spec power and capability. Why Buy a Pre-Owned F-150 From a Toyota Dealership? Any dealership can offer used trucks from Ford or any other manufacturer, so there’s no need to head out of your way. Better yet, a dealership still provides peace of mind you won’t get from private sellers. With that in mind, look to Watermark Toyota for your new Ford F-150. 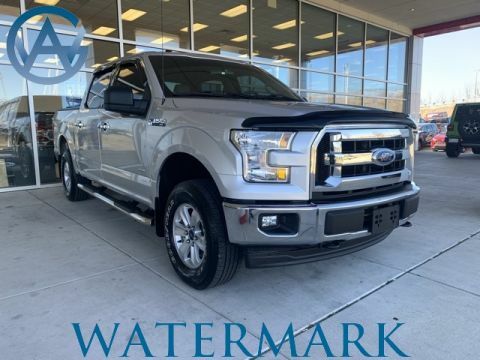 With a reputation for best-in-class towing, best-in-class payload, and high driver esteem, you’ll find it hard to outpace a pre-owned F-150. If you’d like to find out more or arrange a test drive, don’t hesitate to contact us today or visit our showroom in Madisonville. You can even apply for financing online.